Students spent their Wednesday morning in the first of their sessions with Dr. Claire Nordeen where they are learning about emergency medicine and as well as how to provide basic life support and trauma care. 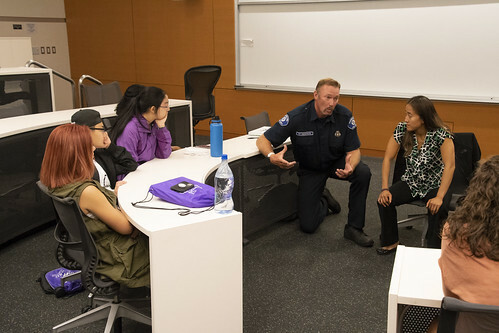 With the help of a crew of paramedic/EMT/firefighter instructors and actors, students participated in various medical simulations where they were tasked with deciding how serious each medical condition was and how to treat it properly and quickly. More photos can be found in the Flickr album here.